Wowzer! Check out this top floor condo overlooking the trees & sparkling pool! Sellers have spared no expense! Lots of upgrades in this 2/2 from gleaming wood laminate floors to gorgeous remodeled master bathroom...but wait there's more...crown molding, updated light fixtures, plantation shutters and hall bathroom has also been updated. Indoor laundry area; kitchen is fully equipped for the home chef w/corian counters, bartop & 42in cabinets. Very open floor plan and no one above you. Take the elevator or get some cardio with the steps but either way once you get home you will enjoy relaxing on your screened lanai with an adult beverage or maybe a morning cup of Joe. Itemized list in documents of Seller's upgrades/improvements over $22k! 1yr HOW 2-10 $520. See supplement for more info. Some other features of this home - fire sprinklers; concrete block construction; condo fee includes water/sewer; security gate; fitness center, clubhouse & pool, car wash station; playground; onsite Prop Mgmt & full time maintenance crew; night time roving patrol; elevators, extra parking, private pedestrian gate to next door shopping center, AT&T fiber networking available, new state of the art thermostat along w/new high efficiency windows. The complex has lots of improvements going on so parden the construction...the buildings are with new roofs, new energy efficient windows & rescreened porches and more to come like concrete wall to border the complex as well as new landscaping package in the works! There are 400 condominiums built with concrete block walls supporting concrete floors. Two elevators are located in each building making access easy. Shop next door at Target, Bealls, Bealls Outlet, Super-Walmart, Office MAX. Close by to dining at JAXAle House, Panera, First Watch, Fire House Subs, Chick-Fil-A, Chipotle, Pita Pit, Panda Express, Tijuana Flats, PDQ, Brucci's Pizza, Your Pie Pizza, Jersey Mikes Subs and more! Located near shopping, dining, retail, Mayo Clinic & minutes to the shoreline of the Atlantic Ocean! 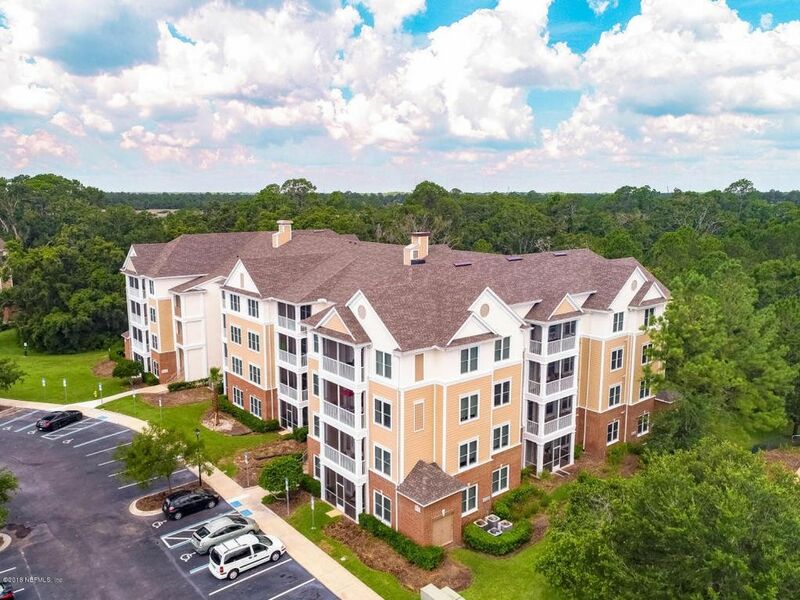 Directions: From Hodges Blvd, west on Beach Blvd, 1st traffic light, t/l onto Falcon Crest Dr at entrance to Wolf Creek Condos; once thru gate, t/r, bldg #9 is directly on left of the mail kiosks & clubhouse.